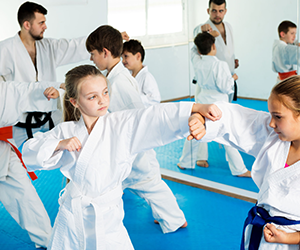 Special events at the School Of Martial Arts offer 90 minutes of high-energy fun for guests of all ages. 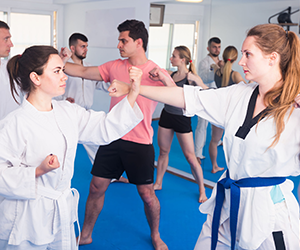 School Of Martial Arts in Chicago, IL offers self defense and martial arts classes to students of all ages. If you want you to learn the arts of self-discipline and perseverance, or have been searching for a workout plan that is a refreshing break from the usual gym drudgery, you will find what you are looking for here. We offer flexible class schedules with professional instructors to help you get the most out of your time at our studio. We also host special events for days when you just want to have fun. Our adult classes focus on two main goals: holistic health and practical self-defense. These classes will guide you through full-body workout routines to tone your muscles and relax your mind, and will teach you how to defend yourself if you need to. Our children’s classes offer the same practical skills while also incorporating a focus on mental discipline. Your child will learn how to set and achieve goals through hard work, persistence, and concentration, and how to apply these skills throughout their lives. Our martial arts classes are a proven alternative to body damaging workouts. Increase your flexibility and build the sort of strength that lasts by learning the disciplines and techniques of an ancient art that you can carry with you throughout your life. It's easy to see why martial arts are becoming ever more popular in the U.S. and around the globe. It's a fun, challenging sport to take up that's easy to learn and hard to master. At the School Of Martial Arts, we also know that hard work should be balanced with entertainment and fun. That is why we offer 90-minute special events that include instructors’ demonstrations, refreshments, and decorations. Children and adults alike will enjoy the party and will leave feeling energized and invigorated. To learn more about what we offer and to schedule classes for yourself or your child, call the School Of Martial Arts. Strengthen your body and mind all at once. Give our classes a try today!